The Iran–Contra affair (Persian: ماجرای ایران-کنترا‎, Spanish: Caso Irán-Contra), popularised in Iran as the McFarlane affair, also referred to as Irangate, Contragate, the Iran–Contra scandal, or simply Iran-Contra, was a political scandal in the United States that occurred during the second term of the Reagan Administration. Senior administration officials secretly facilitated the sale of arms to Iran, which was the subject of an arms embargo. The administration hoped to use the proceeds of the arms sale to fund the Contras in Nicaragua. Under the Boland Amendment, further funding of the Contras by the government (except for the office of the President and the National Security Council) had been prohibited by Congress. The official justification for the arms shipments was that they were part of an operation to free seven American hostages being held in Lebanon by Hezbollah, a paramilitary group with Iranian ties connected to the Islamic Revolutionary Guard Corps. The plan was for Israel to ship weapons to Iran, for the United States to resupply Israel, and for Israel to pay the United States. The Iranian recipients promised to do everything in their power to achieve the release of the hostages. However, as documented by a congressional investigation, the first Reagan-sponsored secret arms sales to Iran began in 1981 before any of the American hostages had been taken in Lebanon. This fact ruled out the "arms for hostages" explanation by which the Reagan administration sought to excuse its behavior. The plan was later complicated in late 1985, when Lieutenant Colonel Oliver North of the National Security Council diverted a portion of the proceeds from the Iranian weapon sales to fund the Contras, a group of anti-Sandinista rebel fighters, in their struggle against the socialist government of Nicaragua. While President Ronald Reagan was a vocal supporter of the Contra cause, the evidence is disputed as to whether he personally authorized the diversion of funds to the Contras. Handwritten notes taken by Defense Secretary Caspar Weinberger on 7 December 1985 indicate that Reagan was aware of potential hostage transfers with Iran, as well as the sale of Hawk and TOW missiles to "moderate elements" within that country. Weinberger wrote that Reagan said "he could answer to charges of illegality but couldn't answer to the charge that 'big strong President Reagan passed up a chance to free the hostages.'" After the weapon sales were revealed in November 1986, Reagan appeared on national television and stated that the weapons transfers had indeed occurred, but that the United States did not trade arms for hostages. The investigation was impeded when large volumes of documents relating to the affair were destroyed or withheld from investigators by Reagan administration officials. On 4 March 1987, Reagan made a further nationally televised address, taking full responsibility for the affair and stating that "what began as a strategic opening to Iran deteriorated, in its implementation, into trading arms for hostages". The affair was investigated by the U.S. Congress and by the three-person, Reagan-appointed Tower Commission. Neither investigation found evidence that President Reagan himself knew of the extent of the multiple programs. In the end, fourteen administration officials were indicted, including then-Secretary of Defense Caspar Weinberger. Eleven convictions resulted, some of which were vacated on appeal. The rest of those indicted or convicted were all pardoned in the final days of the presidency of George H. W. Bush, who had been Vice President at the time of the affair. A major legal debate at the center of the Iran–Contra affair concerned the question of whether the NSC was one of the "any other agency or entity of the United States involved in intelligence activities" covered by the Boland amendment. The Reagan administration argued it was not, and many in Congress argued that it was. :965 The majority of constitutional scholars have asserted the NSC did indeed fall within the purview of the second Boland amendment, though the amendment did not mention the NSC by name. :966 The broader constitutional question at stake was the power of Congress versus the power of the presidency. The Reagan administration argued that because the constitution assigned the right to conduct foreign policy to the executive, its efforts to overthrow the government of Nicaragua were a presidential prerogative that Congress had no right to try to halt via the Boland amendments. :964 By contrast congressional leaders argued that the constitution had assigned Congress control of the budget, and Congress had every right to use that power not to fund projects like attempting to overthrow the government of Nicaragua that they disapproved of. :964 As part of the effort to circumvent the Boland amendment, the NSC established "the Enterprise", an arms-smuggling network headed by a retired U.S. Air Force officer turned arms dealer Richard Secord that supplied arms to the Contras. It was ostensibly a private sector operation, but in fact was controlled by the NSC. :966 To fund "the Enterprise", the Reagan administration was constantly on the look-out for funds that came from outside the U.S. government in order not to explicitly violate the letter of the Boland amendment, though the efforts to find alternative funding for the Contras violated the spirit of the Boland amendment. :966–967 Ironically, military aid to the Contras was reinstated with Congressional consent in October 1986, a month before the scandal broke. A common narrative of the Iran-Contra affair has the US-sponsored arms sales to Iran beginning in the year 1985. That date is important to the official justifications of the Reagan administration because the government claimed that the secret arms shipments were in exchange for Iranian cooperation with the release of hostages held in Lebanon by Hezbollah, where the first hostage was taken in 1982. But if an agreement to send secret arms shipments to Iran, and the fact of those shipments, both began before 1982, then the release of the hostages cannot be the reason for the arms shipments. As reported in The New York Times in 1991, "continuing allegations that Reagan campaign officials made a deal with the Iranian Government of Ayatollah Ruhollah Khomeini in the fall of 1980" led to "limited investigations." However "limited," those investigations established that "Soon after taking office in 1981, the Reagan Administration secretly and abruptly changed United States policy." Secret Israeli arms sales and shipments to Iran began in that year, even as, in public, "the Reagan Administration" presented a different face, and "aggressively promoted a public campaign... to stop worldwide transfers of military goods to Iran." The New York Times explains: "Iran at that time was in dire need of arms and spare parts for its American-made arsenal to defend itself against Iraq, which had attacked it in September 1980," while "Israel [a U.S. ally] was interested in keeping the war between Iran and Iraq going to insure that these two potential enemies remained preoccupied with each other." The official documents 'establishing' the beginning of this policy as dating to 1985, therefore, may perhaps be interpreted as part of a paper trail to establish the 'arms-for-hostages' cover story, in case the secret arms shipments to Iran were discovered. The Americans believed that there was a moderate faction in the Islamic republic headed by Akbar Hashemi Rafsanjani, the powerful speaker of the Majlis who was seen as a leading potential successor to Khomeini and who was alleged to want a rapprochement with the United States. The Americans believed that Rafsanjani had the power to order Hezbollah to free the American hostages and establishing a relationship with him by selling Iran arms would ultimately place Iran back within the American sphere of influence. It remains unclear if Rafsanjani really wanted a rapprochement with the United States or was just deceiving Reagan administration officials who were willing to believe that he was a moderate who would effect a rapprochement. Rafsanjani, whose nickname is "the Shark" was described by the British journalist Patrick Brogan as a man of great charm and formidable intelligence known for his subtlety and ruthlessness whose motives in the Iran–Contra affair remain completely mysterious. The Israeli government required that the sale of arms meet high level approval from the United States government, and when McFarlane convinced them that the U.S. government approved the sale, Israel obliged by agreeing to sell the arms. In 1985, President Reagan entered Bethesda Naval Hospital for colon cancer surgery. While the President was recovering in the hospital, McFarlane met with him and told him that representatives from Israel had contacted the National Security Agency to pass on confidential information from what Reagan later described as the "moderate" Iranian faction headed by Rafsanjani opposed to the Ayatollah's hardline anti-American policies. According to Reagan, these Iranians sought to establish a quiet relationship with the United States, before establishing formal relationships upon the death of the aging Ayatollah. In Reagan's account, McFarlane told Reagan that the Iranians, to demonstrate their seriousness, offered to persuade the Hezbollah militants to release the seven U.S. hostages. McFarlane met with the Israeli intermediaries; Reagan claimed that he allowed this because he believed that establishing relations with a strategically located country, and preventing the Soviet Union from doing the same, was a beneficial move. Although Reagan claims that the arms sales were to a "moderate" faction of Iranians, the Walsh Iran/Contra Report states that the arms sales were "to Iran" itself, which was under the control of the Ayatollah. The first arms sales to Iran began in 1981, though the official paper trail has them beginning in 1985 (see above). On 20 August 1985, Israel sent 96 American-made TOW missiles to Iran through an arms dealer Manucher Ghorbanifar. Subsequently, on 14 September 1985, 408 more TOW missiles were delivered. On 15 September 1985, following the second delivery, Reverend Benjamin Weir was released by his captors, the Islamic Jihad Organization. On 24 November 1985, 18 Hawk anti-aircraft missiles were delivered. Weinberger's notes have Reagan saying he "could answer charges of illegality but he couldn't answer charge that 'big strong President Reagan' passed up a chance to free hostages. ":216 Now retired National Security Advisor McFarlane flew to London to meet with Israelis and Ghorbanifar in an attempt to persuade the Iranian to use his influence to release the hostages before any arms transactions occurred; this plan was rejected by Ghorbanifar. On the day of McFarlane's resignation, Oliver North, a military aide to the United States National Security Council (NSC), proposed a new plan for selling arms to Iran, which included two major adjustments: instead of selling arms through Israel, the sale was to be direct, and a portion of the proceeds would go to Contras, or Nicaraguan paramilitary fighters waging guerrilla warfare against the democratically elected Sandinista government, at a markup. The dealings with the Iranians were conducted via the NSC with Admiral Poindexter and his deputy Colonel North, with the American historians Malcolm Byrne and Peter Kornbluh writing that Poindexter granted much power to North "...who made the most of the situation, often deciding important matters on his own, striking outlandish deals with the Iranians, and acting in the name of the president on issues that were far beyond his competence. All of these activities continued to take place within the framework of the president's broad authorization. Until the press reported on the existence of the operation, nobody in the administration questioned the authority of Poindexter's and North's team to implement the president's decisions". :217 North proposed a $15 million markup, while contracted arms broker Ghorbanifar added a 41% markup of his own. Other members of the NSC were in favor of North's plan; with large support, Poindexter authorized it without notifying President Reagan, and it went into effect. At first, the Iranians refused to buy the arms at the inflated price because of the excessive markup imposed by North and Ghorbanifar. They eventually relented, and in February 1986, 1,000 TOW missiles were shipped to the country. From May to November 1986, there were additional shipments of miscellaneous weapons and parts. Both the sale of weapons to Iran and the funding of the Contras attempted to circumvent not only stated administration policy, but also the Boland Amendment. Administration officials argued that regardless of Congress restricting funds for the Contras, or any affair, the President (or in this case the administration) could carry on by seeking alternative means of funding such as private entities and foreign governments. Funding from one foreign country, Brunei, was botched when North's secretary, Fawn Hall, transposed the numbers of North's Swiss bank account number. A Swiss businessman, suddenly $10 million richer, alerted the authorities of the mistake. The money was eventually returned to the Sultan of Brunei, with interest. On 7 January 1986, John Poindexter proposed to Reagan a modification of the approved plan: instead of negotiating with the "moderate" Iranian political group, the United States would negotiate with "moderate" members of the Iranian government. Poindexter told Reagan that Ghorbanifar had important connections within the Iranian government, so with the hope of the release of the hostages, Reagan approved this plan as well. Throughout February 1986, weapons were shipped directly to Iran by the United States (as part of Oliver North's plan), but none of the hostages were released. Retired National Security Advisor McFarlane conducted another international voyage, this one to Tehran – bringing with him a gift of a bible with a handwritten inscription by Ronald Reagan and, according to George Cave, a cake baked in the shape of a key. Howard Teicher described the cake as a joke between North and Ghorbanifar. McFarlane met directly with Iranian officials associated with Rafsanjani, who sought to establish U.S.-Iranian relations in an attempt to free the four remaining hostages. North frequently met with Bahramani in the summer and fall of 1986 in West Germany, discussing arms sales to Iran, the freeing of hostages held by Hezbollah and how best to overthrow President Saddam Hussein of Iraq and the establishment of "a non-hostile regime in Baghdad". :250 In September and October 1986 three more Americans—Frank Reed, Joseph Cicippio, and Edward Tracy—were abducted in Lebanon by a separate terrorist group, who referred to them simply as "G.I. Joe," after the popular American toy. The reasons for their abduction are unknown, although it is speculated that they were kidnapped to replace the freed Americans. One more original hostage, David Jacobsen, was later released. The captors promised to release the remaining two, but the release never happened. After a leak by Mehdi Hashemi, a senior official in the Islamic Revolutionary Guard Corps, the Lebanese magazine Ash-Shiraa exposed the arrangement on 3 November 1986. The leak may have been orchestrated by a covert team led by Arthur S. Moreau Jr., assistant to the chairman of the United States Joint Chiefs of Staff, due to fears the scheme had grown out of control. My purpose was ... to send a signal that the United States was prepared to replace the animosity between [the U.S. and Iran] with a new relationship ... At the same time we undertook this initiative, we made clear that Iran must oppose all forms of international terrorism as a condition of progress in our relationship. The most significant step which Iran could take, we indicated, would be to use its influence in Lebanon to secure the release of all hostages held there. 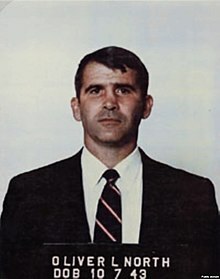 The scandal was compounded when Oliver North destroyed or hid pertinent documents between 21 November – 25 November 1986. During North's trial in 1989, his secretary, Fawn Hall, testified extensively about helping North alter, shred, and remove official United States National Security Council (NSC) documents from the White House. According to The New York Times, enough documents were put into a government shredder to jam it. North's explanation for destroying some documents was to protect the lives of individuals involved in Iran and Contra operations. It was not until 1993, years after the trial, that North's notebooks were made public, and only after the National Security Archive and Public Citizen sued the Office of the Independent Counsel under the Freedom of Information Act. During the trial, North testified that on 21, 22 November, or 24, he witnessed Poindexter destroy what may have been the only signed copy of a presidential covert-action finding that sought to authorize CIA participation in the November 1985 Hawk missile shipment to Iran. U.S. Attorney General Edwin Meese admitted on 25 November that profits from weapons sales to Iran were made available to assist the Contra rebels in Nicaragua. On the same day, John Poindexter resigned, and President Reagan fired Oliver North. Poindexter was replaced by Frank Carlucci on 2 December 1986. In Veil: The Secret Wars of the CIA 1981–1987, journalist Bob Woodward chronicled the role of the CIA in facilitating the transfer of funds from the Iran arms sales to the Nicaraguan Contras spearheaded by Oliver North. According to Woodward, then–Director of the CIA William J. Casey admitted to him in February 1987 that he was aware of the diversion of funds to the Contras. :580 The controversial admission occurred while Casey was hospitalized for a stroke, and, according to his wife, was unable to communicate. On 6 May 1987, William Casey died the day after Congress began public hearings on Iran–Contra. Independent Counsel, Lawrence Walsh later wrote: "Independent Counsel obtained no documentary evidence showing Casey knew about or approved the diversion. The only direct testimony linking Casey to early knowledge of the diversion came from [Oliver] North." Gust Avrakodos, who was responsible for the arms supplies to the Afghans at this time, was aware of the operation as well and strongly opposed it, in particular the diversion of funds allotted to the Afghan operation. According to his Middle Eastern experts the operation was pointless because the moderates in Iran were not in a position to challenge the fundamentalists. However, he was overruled by Clair George. On 25 November 1986, President Reagan announced the creation of a Special Review Board to look into the matter; the following day, he appointed former Senator John Tower, former Secretary of State Edmund Muskie, and former National Security Adviser Brent Scowcroft to serve as members. This Presidential Commission took effect on 1 December and became known as the Tower Commission. The main objectives of the commission were to inquire into "the circumstances surrounding the Iran-Contra matter, other case studies that might reveal strengths and weaknesses in the operation of the National Security Council system under stress, and the manner in which that system has served eight different presidents since its inception in 1947". The Tower Commission was the first presidential commission to review and evaluate the National Security Council. President Reagan (center) receives the Tower Commission Report in the White House Cabinet Room; John Tower is at left and Edmund Muskie is at right, 1987. President Reagan appeared before the Tower Commission on 2 December 1986, to answer questions regarding his involvement in the affair. When asked about his role in authorizing the arms deals, he first stated that he had; later, he appeared to contradict himself by stating that he had no recollection of doing so. In his 1990 autobiography, An American Life, Reagan acknowledges authorizing the shipments to Israel. The report published by the Tower Commission was delivered to the president on 26 February 1987. The Commission had interviewed 80 witnesses to the scheme, including Reagan, and two of the arms trade middlemen: Manucher Ghorbanifar and Adnan Khashoggi. The 200-page report was the most comprehensive of any released, criticizing the actions of Oliver North, John Poindexter, Caspar Weinberger, and others. It determined that President Reagan did not have knowledge of the extent of the program, especially about the diversion of funds to the Contras, although it argued that the president ought to have had better control of the National Security Council staff. The report heavily criticized Reagan for not properly supervising his subordinates or being aware of their actions. A major result of the Tower Commission was the consensus that Reagan should have listened to his National Security Advisor more, thereby placing more power in the hands of that chair. In January 1987, Congress announced it was opening an investigation into the Iran–Contra affair. Depending upon one's political perspective, the Congressional investigation into the Iran–Contra affair was either an attempt by the legislative arm to gain control over an out-of-control executive arm, a partisan "witch hunt" by the Democrats against a Republican administration or a feeble effort by Congress that did far too little to rein in the "imperial presidency" that had run amok by breaking numerous laws. :701 The Democratic-controlled United States Congress issued its own report on 18 November 1987, stating that "If the president did not know what his national security advisers were doing, he should have." The congressional report wrote that the president bore "ultimate responsibility" for wrongdoing by his aides, and his administration exhibited "secrecy, deception and disdain for the law". It also read that "the central remaining question is the role of the President in the Iran–Contra affair. On this critical point, the shredding of documents by Poindexter, North and others, and the death of Casey, leave the record incomplete". The reason I haven't spoken to you before now is this: You deserve the truth. And as frustrating as the waiting has been, I felt it was improper to come to you with sketchy reports, or possibly even erroneous statements, which would then have to be corrected, creating even more doubt and confusion. There's been enough of that. First, let me say I take full responsibility for my own actions and for those of my administration. As angry as I may be about activities undertaken without my knowledge, I am still accountable for those activities. As disappointed as I may be in some who served me, I'm still the one who must answer to the American people for this behavior. A few months ago I told the American people I did not trade arms for hostages. My heart and my best intentions still tell me that's true, but the facts and the evidence tell me it is not. As the Tower board reported, what began as a strategic opening to Iran deteriorated, in its implementation, into trading arms for hostages. This runs counter to my own beliefs, to administration policy, and to the original strategy we had in mind. There is some question and dispute about precisely the level at which he chose to follow the operation details. There is no doubt, however, ... [that] the President set the US policy towards Nicaragua, with few if any ambiguities, and then left subordinates more or less free to implement it. Domestically, the affair precipitated a drop in President Reagan's popularity. His approval ratings suffered "the largest single drop for any U.S. president in history", from 67% to 46% in November 1986, according to a The New York Times/CBS News poll. The "Teflon President", as Reagan was nicknamed by critics, survived the affair, however, and his approval rating recovered. Internationally, the damage was more severe. Magnus Ranstorp wrote, "U.S. willingness to engage in concessions with Iran and the Hezbollah not only signaled to its adversaries that hostage-taking was an extremely useful instrument in extracting political and financial concessions for the West but also undermined any credibility of U.S. criticism of other states' deviation from the principles of no-negotiation and no concession to terrorists and their demands." In Iran, Mehdi Hashemi, the leaker of the scandal, was executed in 1987, allegedly for activities unrelated to the scandal. Though Hashemi made a full video confession to numerous serious charges, some observers find the coincidence of his leak and the subsequent prosecution highly suspicious. Caspar Weinberger, Secretary of Defense, was indicted on two counts of perjury and one count of obstruction of justice on 16 June 1992. Weinberger received a pardon from George H. W. Bush on 24 December 1992, before he was tried. Robert C. McFarlane, National Security Adviser, convicted of withholding evidence, but after a plea bargain was given only two years of probation. Later pardoned by President George H. W. Bush. Elliott Abrams, Assistant Secretary of State, convicted of withholding evidence, but after a plea bargain was given only two years probation. Later pardoned by President George H. W. Bush. Alan D. Fiers, Chief of the CIA's Central American Task Force, convicted of withholding evidence and sentenced to one year probation. Later pardoned by President George H. W. Bush. Oliver North, member of the National Security Council, indicted for accepting an illegal gratuity, obstruction of a congressional inquiry, and destruction of documents, but the ruling was overturned since he had been granted immunity. Fawn Hall, Oliver North's secretary, was given immunity from prosecution on charges of conspiracy and destroying documents in exchange for her testimony. Jonathan Scott Royster, Liaison to Oliver North, was given immunity from prosecution on charges of conspiracy and destroying documents in exchange for his testimony. National Security Advisor John Poindexter was convicted of five counts of conspiracy, obstruction of justice, perjury, defrauding the government, and the alteration and destruction of evidence. A panel of the D.C. Circuit overturned the convictions on 15 November 1991, by a vote of 2 to 1 and the Supreme Court refused to hear the case. Duane Clarridge. An ex-CIA senior official, he was indicted in November 1991 on seven counts of perjury and false statements relating to a November 1985 shipment to Iran. Pardoned before trial by President George H. W. Bush. Richard V. Secord. Former Air Force major general, who was involved in arms transfers to Iran and diversion of funds to Contras, he pleaded guilty in November 1989 to making false statements to Congress and was sentenced to two years of probation. As part of his plea bargain, Secord agreed to provide further truthful testimony in exchange for the dismissal of remaining criminal charges against him. Albert Hakim. A businessman, he pleaded guilty in November 1989 to supplementing the salary of North by buying a $13,800 fence for North with money from "the Enterprise," which was a set of foreign companies Hakim used in Iran-Contra. In addition, Swiss company Lake Resources Inc., used for storing money from arms sales to Iran to give to the Contras, plead guilty to stealing government property. Hakim was given two years of probation and a $5,000 fine, while Lake Resources Inc. was ordered to dissolve. Oliver North and John Poindexter were indicted on multiple charges on 16 March 1988. North, indicted on 16 counts, was found guilty of three felony counts. The convictions were vacated on appeal on the grounds that North's Fifth Amendment rights may have been violated by the indirect use of his testimony to Congress, which had been given under a grant of immunity. In 1990, Poindexter was convicted on several felony counts of conspiracy, lying to Congress, obstruction of justice, and altering and destroying documents pertinent to the investigation. His convictions were also overturned on appeal on similar grounds. Arthur L. Liman served as chief counsel to the Senate committee investigating the Iran–Contra affair. The Independent Counsel, Lawrence E. Walsh, chose not to re-try North or Poindexter. In total, several dozen people were investigated by Walsh's office. During his election campaign in 1988, Vice President Bush denied any knowledge of the Iran–Contra affair by saying he was "out of the loop". Though his diaries included that he was "one of the few people that know fully the details", he repeatedly refused to discuss the incident and won the election. A book published in 2008 by Israeli journalist and terrorism expert Ronen Bergman asserts that Bush was also personally and secretly briefed on the affair by Amiram Nir, a counterterrorism adviser to the then Israeli prime minister, Yitzhak Shamir, when Bush was on a visit to Israel. "Nir could have incriminated the incoming President. The fact that Nir was killed in a mysterious chartered airplane crash in Mexico in December 1988 has given rise to numerous conspiracy theories", writes Bergman. In response to these Bush pardons, Independent Counsel Lawrence E. Walsh, who headed the investigation of Reagan Administration officials' criminal conduct in the Iran-Conra scandal, stated that "the Iran-Contra cover-up, which has continued for more than six years, has now been completed." Walsh noted that in issuing the pardons Bush appears to have been preempting being implicated himself in the crimes of Iran-Contra by evidence that was to come to light during the Weinberger trial, and noted that there was a pattern of "deception and obstruction" by Bush, Weinberger and other senior Reagan administration officials. In Poindexter's hometown of Odon, Indiana, a street was renamed to John Poindexter Street. Bill Breeden, a former minister, stole the street's sign in protest of the Iran–Contra affair. He claimed that he was holding it for a ransom of $30 million, in reference to the amount of money given to Iran to transfer to the Contras. He was later arrested and confined to prison, making him, as satirically noted by Howard Zinn, "the only person to be imprisoned as a result of the Iran–Contra Scandal". The Iran–Contra affair and the ensuing deception to protect senior administration officials (including President Reagan) has been cast as an example of post-truth politics. The 100th Congress formed a Joint Committee of the United States Congress (Congressional Committees Investigating The Iran-Contra Affair) and held hearings in mid-1987. Transcripts were published as: Iran-Contra Investigation: Joint Hearings Before the Senate Select Committee on Secret Military Assistance to Iran and the Nicaraguan Opposition and the House Select Committee to Investigate Covert Arms Transactions with Iran (U.S. GPO 1987–88). A closed Executive Session heard classified testimony from North and Poindexter; this transcript was published in a redacted format. The joint committee's final report was Report of the Congressional Committees Investigating the Iran-Contra Affair With Supplemental, Minority, and Additional Views (U.S. GPO 17 November 1987). The records of the committee are at the National Archives, but many are still non-public. Testimony was also heard before the House Foreign Affairs Committee, House Permanent Select Committee on Intelligence, and Senate Select Committee on Intelligence and can be found in the Congressional Record for those bodies. The Senate Intelligence Committee produced two reports: Preliminary Inquiry into the Sale of Arms to Iran and Possible Diversion of Funds to the Nicaraguan Resistance (2 February 1987) and Were Relevant Documents Withheld from the Congressional Committees Investigating the Iran-Contra Affair? (June 1989). The Office of Independent Counsel/Walsh investigation produced four interim reports to Congress. Its final report was published as the Final Report of the Independent Counsel for Iran/Contra Matters. Walsh's records are available at the National Archives. ^ Sharpe, Kenneth E. (1987). "The Real Cause of Irangate". Foreign Policy (68): 19–41. doi:10.2307/1148729. JSTOR 1148729. ^ "'Never Had an Inkling' : Reagan Testifies He Doubts Contragate Ever Happened : Videotape Transcript Released". Los Angeles Times. Associated Press. 22 February 1990. Retrieved 28 April 2014. ^ a b c d e f g h i j k l "Tower commission report excerpts". The Tower Commission Report. Retrieved 7 June 2008. ^ a b c d "Reagan's mixed White House legacy". BBC. 6 June 2004. Retrieved 22 April 2008. ^ a b Hersh, Seymour M. (8 December 1991). "U.S. Said to Have Allowed Israel to Sell Arms to Iran". The New York Times (National ed.). p. 1001001. Retrieved 15 November 2018. ^ a b c d e "The Iran-Contra Report". The American Presidency Project. Retrieved 17 May 2008. ^ a b c d "Weinberger Diaries Dec 7 handwritten" (PDF). National Security Archive. George Washignton University. ^ a b Reagan, Ronald (13 November 1986). "Address to the Nation on the Iran Arms and Contra Aid Controversy". Ronald Reagan Presidential Foundation. Retrieved 7 June 2008. ^ "Excerpts From the Iran-Contra Report: A Secret Foreign Policy". The New York Times. 1994. Retrieved 7 June 2008. ^ Reagan, Ronald (4 March 1987). "Address to the Nation on the Iran Arms and Contra Aid Controversy". Ronald Reagan Presidential Foundation. Retrieved 7 June 2008. ^ Dwyer, Paula. "Pointing a Finger at Reagan". Business Week. Archived from the original on 16 April 2008. Retrieved 22 April 2008. ^ "Pardons and Commutations Granted by President George H. W. Bush". United States Department of Justice. Retrieved 22 April 2008. ^ a b c d e f g h i j k l m n o p q r s t u v w x y z aa ab ac ad ae af ag ah ai aj ak al am an ao ap Kornbluh, Peter; Byrne, Malcolm (1993). The Iran-Contra Scandal: The Declassified History. New York: New Press. ISBN 978-1565840478. ^ a b c d e f g h i j Hicks, D. Bruce (1996). "Presidential Foreign Policy Prerogative after the Iran-Contra Affair: A Review Essay". Presidential Studies Quarterly. 26 (4): 962–977. doi:10.2307/27551664. JSTOR 27551664. ^ a b Johnston, David (9 November 1989). "Secord Is Guilty Of One Charge In Contra Affair". The New York Times (National ed.). p. A00024. Retrieved 19 July 2011. ^ Corn, David (2 July 1988). "Is There Really A 'Secret Team'?". The Nation. ^ Lemoyne, James (19 October 1986). "Ortega, Faulting Reagan, Warns of Coming War". The New York Times (National ed.). p. 1001006. Retrieved 15 November 2018. ^ Payton, Brenda (4 April 1988). "Is U.S. Backing Contras with Drug Funds?". Oakland Tribune. ^ a b "The Iran-Contra Scandal". The American-Israeli Cooperative Enterprise. Retrieved 7 June 2008. ^ "State Sponsors of Terrorism". State.gov. Retrieved 18 August 2014. ^ "Military history of the Iran–Iraq War, 1980–1988". GlobalSecurity.org. 2005. Retrieved 7 June 2008. ^ a b c d Brogan, Patrick The Fighting Never Stopped: A Comprehensive Guide To World Conflicts Since 1945, New York: Vintage Books, 1989 page 253. ^ Walsh Iran / Contra Report – Chapter 24 The Investigation of State Department Officials: Shultz, Hill and Platt. Retrieved 7 June 2008. ^ Walsh Iran/Contra Report, Part I: The Underlying Facts. ^ Butterfield, Fox (27 November 1988). "Arms for Hostages — Plain and Simple". The New York Times (National ed.). p. 7007010. Retrieved 29 December 2018. ^ "Walsh Iran / Contra Report – Part I Iran/contra: The Underlying Facts". Fas.org. Retrieved 18 August 2014. ^ "Arms, Hostages and Contras: How a Secret Foreign Policy Unraveled". The New York Times (National ed.). 19 November 1987. p. A00012. Retrieved 7 June 2008. ^ United States. Congress. House. Select Committee to Investigate Covert Arms Transactions with Iran; United States. Congress. Senate. Select Committee on Secret Military Assistance to Iran and the Nicaraguan Opposition (8 May 1987). "Report of the congressional committees investigating the Iran- Contra Affair : with supplemental, minority, and additional views". Washington : U.S. House of Representatives Select Committee to Investigate Covert Arms Transactions with Iran : U.S. Senate Select Committee on Secret Military Assistance to Iran and the Nicaraguan Opposition : For sale by the Supt. of Docs., U.S. G.P.O. – via Internet Archive. ^ "Excerpts from the Tower Commission's Report", 26 January 1987. ^ "Letter Accepting the Resignation of Robert C. McFarlane as Assistant to the President for National Security Affairs". Retrieved 4 December 2012. ^ "United States v. Robert C. McFarlane". Independent Council for Iran/Contra Matters. 1993. Retrieved 7 June 2008. ^ "Understanding the Iran-Contra Affairs". ^ a b c d e Walsh, Lawrence (4 August 1993). "Vol. I: Investigations and prosecutions". Final report of the independent counsel for Iran/Contra matters. Independent Council for Iran/Contra Matters. Retrieved 15 May 2009. ^ a b c Avery, Steve (2005). "Irangate: Iran-Contra affair, 1985–1992". U-S-History.com. Retrieved 7 June 2008. ^ Fisher, Louis (1989). "How Tightly Can Congress Draw the Purse Strings?". American Journal of International Law. 83 (4): 758–766. doi:10.2307/2203364. JSTOR 2203364. ^ "Brunei Regains $10 Million". The New York Times (National ed.). Associated Press. 22 July 1987. p. A00009. Retrieved 28 March 2008. ^ a b Gwertzman, Bernard (11 January 1987). "MCFARLANE TOOK CAKE AND BIBLE TO TEHERAN, EX-C.I.A. MAN SAYS". The New York Times. ^ "Calls President Courageous but Weak : Iranian Exhibits Bible Signed by Reagan". Los Angeles Times. 28 January 1987. ^ President's Special Review Board (26 February 1987). Report of the President's Special Review Board. Washington, D.C.: United States Government Printing Office. 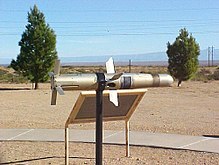 p. B-100. OCLC 15243889. ^ Cave, George. "Why Secret 1986 U.S.-Iran "Arms for Hostages" Negotiations Failed". Washington Report on Middle Eastern Affairs. Retrieved 9 January 2007. ^ Hersh, Seymour M. (2019). "The Vice President's Men". London Review of Books. 41 (2): 9–12. Retrieved 18 January 2019. ^ "Nicaragua Downs Plane and Survivor Implicates C.I.A." The New York Times (National ed.). 12 October 1986. p. 4004001. Retrieved 20 January 2019. ^ "Hasenfus Tempers Comments on C.I.A." The New York Times (National ed.). 3 November 1986. p. A00006. Retrieved 20 January 2019. ^ "Poindexter and North Have Limited Options". The New York Times (National ed.). 26 November 1986. p. A00012. Retrieved 20 January 2019. ^ "Timeline of Ronald Reagan's life". PBS. 2000. Retrieved 7 June 2008. ^ a b c d e Canham-Clyne, John (1992). "Business as Usual: Iran-Contra and the National Security State". World Policy Journal. 9 (4): 617–637. JSTOR 40209272. ^ a b Woodward, Bob (1987). Veil: The Secret Wars of the CIA, 1981–1987. New York: Simon and Schuster. ISBN 9780671601171. OCLC 924937475. ^ Crile, George (2003). Charlie Wilson's War: The Extraordinary Story of How the Wildest Man in Congress and a Rogue CIA Agent Changed the History. Grove Press. ^ Fisher, Louis (1988). "Foreign Policy Powers of the President and Congress". The Annals of the American Academy of Political and Social Science. 499: 148–159. doi:10.1177/0002716288499001012. ^ a b c Church, George J (2 March 1987). "Tower of Judgement". Time. Retrieved 22 April 2008. ^ Masker, John Scott (1996). "Teaching the Iran-Contra Affair". PS: Political Science & Politics. 29 (4): 701–703. doi:10.2307/420797. ^ Blumenthal, Sidney (9 June 2005). "Nixon's Empire Strikes Back". The Guardian. London. Retrieved 6 June 2008. ^ a b c d "Speech about Iran Contra". PBS. 4 March 1987. Retrieved 23 April 2008. ^ Johnston, David (20 October 1991). "North Says Reagan Knew of Iran Deal". The New York Times. ^ Kurtz, Howard (7 June 2004). "15 Years Later, the Remaking of a President". The Washington Post. p. C01. Retrieved 30 December 2018. ^ Sussman, Dalia (6 August 2001). "Reagan Approval: Better in Retrospect" (PDF). ABC News. Retrieved 30 December 2018. ^ McDonald, Dian (24 December 1992). "Bush Pardons Weinberger, Five Others Tied to Iran-Contra" (Press release). Washington: United States Information Agency. Retrieved 29 December 2018 – via GlobalSecurity.org. ^ ^ Pichirallo, Joe (12 March 1988). "McFarlane Enters Guilty Plea Arising From Iran-Contra Affair; Former Reagan Adviser Withheld Information From Congress". Washington Post. ^ Walsh, Lawrence E. (4 August 1993). "Final Report of the Independent Counsel For Iran/Contra Matters Vol. I: Investigations and Prosecutions". Summary of Prosecutions. U.S. Court of Appeal for the District of Columbia. ^ "Walsh Iran / Contra Report – Chapter 17 United States v. Clair E. George". Fas.org. Retrieved 31 August 2010. ^ Shanon, Philip (21 July 1988). "Civil Liberties Union Asks Court To Quash Iran-Contra Indictment". The New York Times (National ed.). p. A00014. Retrieved 29 December 2018. ^ "United States of America v. John M. Poindexter, Appellant, 951 F.2d 369 (D.C. Cir. 1992)". ^ Greenhouse, Linda (8 December 1992). "Iran-Contra Appeal Refused by Court". The New York Times (National ed.). p. A00022. Retrieved 29 December 2018. ^ Johnston, David (27 November 1991). "Ex-C.I.A. Official Charged on Iran Arms". The New York Times (National ed.). p. A00012. Retrieved 29 December 2018. ^ "Iran-Contra Pardons". Bangor Daily News. Bangor, Maine. Associated Press. 24 December 1992. p. 2. Retrieved 14 January 2011. ^ a b "The Iran-Contra Defendants". The Milwaukee Journal. Milwaukee, Wisconsin. Journal wire services. 17 September 1991. p. A6. Retrieved 14 January 2011. ^ Martin, Douglas (1 May 2003). "Albert Hakim, Figure in Iran-Contra Affair, Dies at 66". The New York Times (National ed.). p. B00008. Retrieved 28 December 2009. ^ Shenon, Philip (17 March 1988). "North, Poindexter and 2 Others Indicted on Iran-Contra Fraud and Theft Charges". The New York Times (National ed.). p. A00001. Retrieved 29 December 2018. ^ Haberman, Clyde (18 July 1997). "Arthur L. Liman, a Masterly Lawyer, Dies at 64". The New York Times (National ed.). p. A00023. Retrieved 29 December 2018. ^ a b Johnston, David (25 December 1992). "Bush Pardons 6 in Iran Affair, Averting a Weinberger Trial; Prosecutor Assails 'Cover-Up'". The New York Times (National ed.). p. A00001. Retrieved 29 December 2018. ^ "The Legal Aftermath: Prosecutions". Understanding the Iran-Contra Affairs. Brown University. Retrieved 18 January 2018. ^ "The Iran-Contra Affair 20 Years On". Gwu.edu. Retrieved 18 August 2014. ^ JACK DOPPLER, NO LONGER NEWS: The Trial of the Century That Wasn't, ABA Journal, Vol. 79, No. 1 (JANUARY 1993), pp. 56-59. ^ Bush, George H. W. (24 December 1992). "Proclamation 6518 – Grant of Executive Clemency". The American Presidency Project. Retrieved 23 April 2008. ^ "William P. Barr Oral History, Assistant Attorney General; Deputy Attorney General; Attorney General". Miller Center. 27 October 2016. Retrieved 26 March 2019. ^ "Pardons and Commutations Granted by President George H. W. Bush". United States Department of Justice. Retrieved 17 May 2008. ^ Lawrence E. Walsh, "Firewall: The Iran-Contra Conspiracy and Cover-up" (New York: Norton & Company, 1997) p. 290 et. seq. ^ The Iran-Contra Affair 30 Years Later: A Milestone in Post-Truth Politics: Declassified Records Recall Official Deception in the Name of Protecting a Presidency 25 November 2016; National Security Archive Electronic Briefing Book No. 567; Edited by Malcolm Byrne, Retrieved 26 November 2016. ^ "Report of the congressional committees investigating the Iran- Contra Affair : with supplemental, minority, and additional views". ^ Iran-Contra joint committee documents, at the National Archives. ^ "Records of Lawrence Walsh relating to Iran/Contra". 4 October 2012. Asleson, Vern (2004). Nicaragua: Those Passed By. Lakeville, MN: Galde Press. ISBN 1-931942-16-1. Cockburn, Alexander; St. Clair, Jeffrey (1998). Whiteout: The CIA, Drugs and the Press. New York: Verso. ISBN 1-85984-258-5. Hamilton, Lee H.; Inouye, Daniel K. (1987). Report of the Congressional Committees Investigating the Iran-Contra Affair (Report). Washington: U.S. Government Printing Office. Retrieved 3 April 2007. Shenon, Philip; Engelberg, Stephen (5 July 1987). "Eight Important Days in November: Unraveling of the Iran-Contra Affair". The New York Times (National ed.). p. 1001010. Retrieved 15 November 2018. Tower, John; Muskie, Edmund; Scowcroft, Brent (26 February 1987). Report of the President's Special Review Board (Report). Washington: U.S. Government Printing Office. Retrieved 20 January 2019. Webb, Gary (1998). Dark Alliance: The CIA, the Contras, and the Crack Cocaine Explosion. New York: Seven Stories Press. ISBN 1-888363-68-1. Zinn, Howard (2003). A People's History of the United States. New York: Perennial. ISBN 0-06-052837-0. Church, George J. "The U.S. and Iran" (Archive). Time. Monday 17 November 1986.